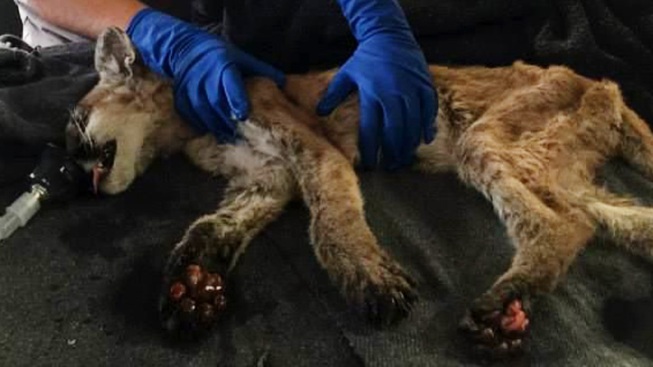 The Department of Fish and Wildlife is caring for a 4-month-old mountain lion cub that was separated from his mother and burned on his paws. Animal rescuers looking for lost dogs in the area of Blossom Lane near Mokelumne Hill in Calaveras County, near the Butte Fire, came across the cub whose hair had been singed from the fire. Rescuers say they were able to just walk over to the cub and pick him up. He was taken to an animal hospital in Turlock where they've named him "Fire Claw." 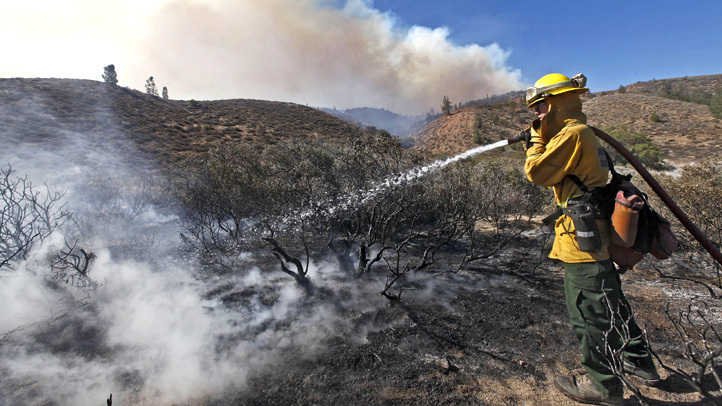 Authorities said they hope the animal is able to make a full recovery, but they don’t expect Fire Claw will be able to return to the wild.